Posted November 15, 2012 by Peter Hackney & filed under City News. The University of Sydney is reportedly continuing with plans to close its Koori Centre, despite opposition from students and Aboriginal groups. A protest was held on the grounds of Sydney University on Wednesday, October 31 and a Facebook group ‘Save the Koori Centre’ had by press time attracted 295 followers – but there is no sign of university administration budging, according to activists. The closure, occurring under Deputy Vice-Chancellor (Indigenous Strategy and Services) Professor Shane Houston, is being conducted under the auspices of a new Aboriginal and Torres Strait Islander strategy called ‘Wingara Mura- Bunga Barrabugu’. University of Sydney campus newspaper Honi Soit reports the centre is currently in the process of being split into various “satellite centres”, which would see each faculty of the university encouraged to create a “mini Koori Centre” to administer Aboriginal education initiatives. The move would ostensibly ensure greater integration of Indigenous education and issues across the university. However the Indigenous Student Representative for the Student Representative Council (SRC) expressed concerns about the change, and accused Prof Houston of a lack of consultation. “[Prof Houston] has completely disregarded the students’ needs and has little understanding of how the sense of community that is engendered by the Koori Centre benefits the university,” said Narelle Daniels. 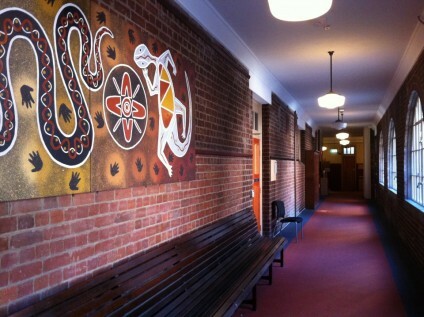 According to Ms Daniels, the dismantling of the Koori Centre began when the main student support officers were moved out of the Koori Centre to the Jane Foss Russell Building in August last year. Ray Jackson, President of the Indigenous Social Justice Association, said he was mystified by Prof Houston’s motives and questioned why a fellow Indigenous person would move to close the centre. “As an Aboriginal man himself, one wonders what has changed the thinking of Shane from one of great and high ideals to a low assimilationist attitude to the Koori Centre. Indigenous student Kyol Blakeney said the university was treating Aboriginal and Torres Strait islander communities poorly in relation to other minority student groups. “International students have a whole floor and Muslim students have a large prayer room to themselves. Why can’t we have our Koori Centre?” he told The Green Left Weekly.